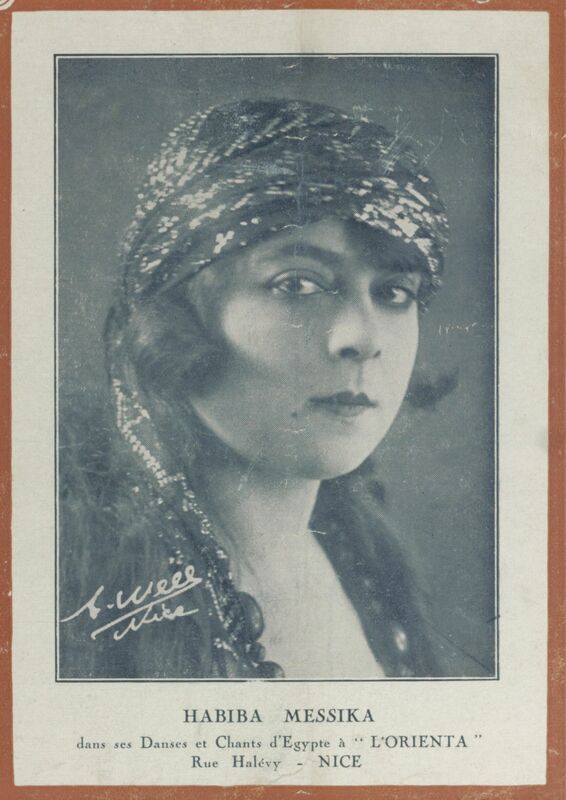 A portrait of Tunisian singer Habiba Messika on the cover of Nice-based magazine “L’Éclaireur du dimanche” in 1929, one year before she was tragically murdered by her former lover. 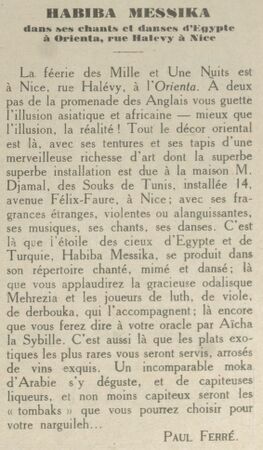 Messika was singing in an oriental cabaret in Nice called “L’Oriental” at that time. Source: L’Éclaireur du dimanche, February 3rd, 1929 – Gallica. Her voice can be heard here.